At the time, that meant it excluded prominent Australian brewers such as Mountain Goat (Asahi), James Squire (Kirin), and Little Creatures (Kirin), as well as international companies such as BrewDog (which includes 22% private equity ownership and plans to open a brewery in Brisbane early 2019) and Brooklyn Brewery (24.5% ownership from Kirin, but brewing at Coopers in South Australia). Coopers, incidentally, are also over the 40 million liter stipulation placed by the IBA. While 20% is lower than America’s Brewers Association threshold of 25%, the figure is in line with the Australian Corporations Act, which says more than 20% constitutes “material ownership.” If the same percentage was adopted in the U.S., breweries such as Oskar Blues and Cigar City, Victory and Southern Tier, SweetWater, and Uinta would not be eligible for the seal. 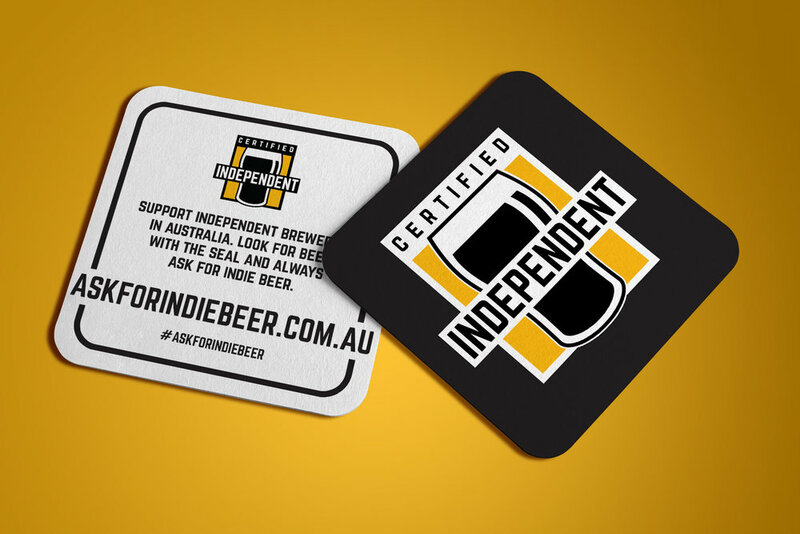 Last year, the independence debate got a little more interesting after a trio of big name independent breweries—Pirate Life (AB InBev), 4 Pines (AB InBev), and Feral Brewing (Coca Cola Amatil)—changed ownership. The trio are big names in Australia—even before their respective sales, they all had national distribution. James Davidson, marketing manager at Bright Brewery in regional Victoria, sees the seal as a positive move. He thinks it’ll be especially important for breweries like Bright that operate in small towns. It’s been about a year since the Brewers Association released its own version of an independent seal. Chris McNamara, IBA’s head of member services and operations, says he was mindful of how that rollout took place. The U.S. group received some negative criticism on a variety of potential issues, everything from purpose to aesthetics. Along with the seal, there’s also visual merchandising available to members, including collateral that can be placed directly onto tap badges. T-shirts and hats are also available for the public to buy via the seal’s website, which was launched last night. The rollout comes a week after IBA announced the appointment of its first CEO, Alexis Roitman. The new hire brings corporate law, public affairs research, and a BJCP certification to the role, as well as a tax change for brewers in the Australian Federal Budget. The legislative move lowers excise on kegs smaller than 48 liters, and increases tax rebates for all brewers and distillers from $30,000 to $100,000 per year. In a statement, Federal Finance Minister Scott Morrison noted an issue with kegs exceeding 48 liters being taxed at lower rates compared with beer sold in smaller kegs. However, the tax changes haven’t been welcomed by all Australian brewers. Richard Watkins from Bentspoke Brewery told Australian Brews News last month that he’s concerned the move may encourage speculators to get into the industry for the wrong reasons. He also voiced worry about it leading to a price war and encouraging cheap beer rather than the money being used for positive changes in the industry. After seven years, it feels like the Independent Brewers Association is finally making some headway. And McNamara is acutely aware of just how far Australia’s beer industry has come, given his unique position.